Here are some things I wish people would not do during a snowstorm, and I say this as a battle-tested veteran of many a Nor’easter, blizzard, “snow event” or whatever you want to call it (although I refuse to call it Hercules, because The Weather Channel is alone on that one). 1. Don’t buy just bread, milk, and alcohol. This is so cliche. You will be stuck with this food for the next couple of days, and it’s going to get old fast (okay, maybe the alcohol won’t, but believe me you can only have so much toast and peanut butter sandwiches). I was happy to see on Twitter that snow-fearin’ hipsters had busted out of the bread-milk-alcohol mold and cleaned out the bagged organic carrots section of the JP Whole Foods. 2. If you are a news reporter or meteorologist, there is a whole other list of things you should not be doing (showing shots of snow to illustrate it is snowing, touching said snow and informing us that it is light, sticking a ruler in the snow to show there is more of it now, etc.) But you will be doing all of these things anyway, because you are cheesy and predictable. For those of us watching, the least we can do is play Snowstorm News Coverage Bingo (courtesy of Reddit user Adorasaurusrex). 3. For the love of god, don’t skimp on salt for the damn sidewalk in front of your house. I’m lookin’ at you, rich Beacon Hill types who can totally pay somebody else to put salt down even if you are currently in your West Palm Beach digs, laughing at the weather coverage. If there’s one thing you guys won’t find funny, it’s a lawsuit from some poor schmuck who takes a digger on the ice slick in front of your house. 4. Don’t put your trash out when it’s just starting to snow. I see knuckleheads do this all the time. How is the trash crew supposed to find it? Radar? Hold your horses and put it out in the morning when the snow starts to let up. I guarantee that even if trash service isn’t cancelled, it’s going to be late. 5. Stop complaining about the snow if you live here (especially if you’re a native). 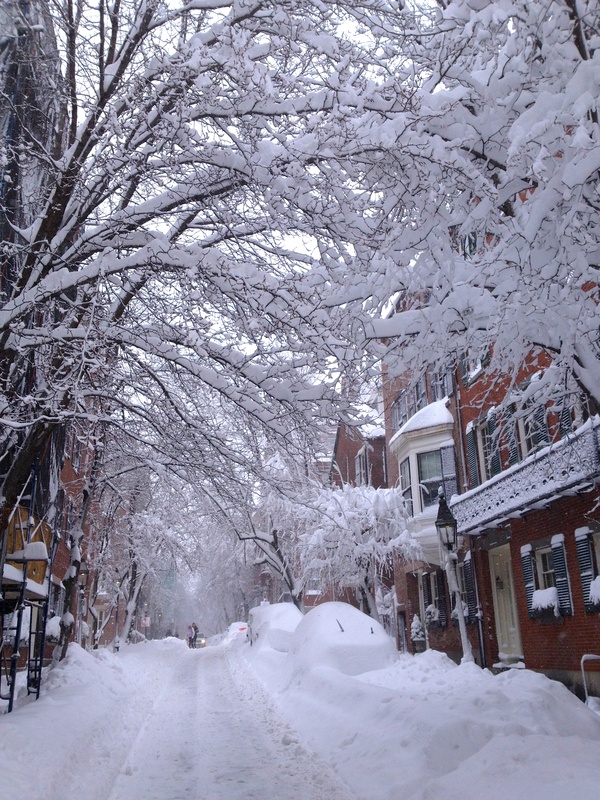 More than this, stop being shocked that we are getting “so much snow!” It’s New England. Buck up or move somewhere warm. Some of us are crazy enough to love winter and all the snow that comes with it, and that’s one of the reasons why we live here!